Effective the day after Thanksgiving, the San Antonio River Walk became even better than this already iconic part of the Texas Hill Country normally is. Its Christmas lights are lit up, and so are the faces of the viewers and passersby who have the chance to visit this beautiful part of San Antonio. If you haven’t yet been, perhaps this is the time for your once-in-a-lifetime tour! Viewing this amazing Texas treasure in its natural beauty during any other time of the year is priceless in itself. 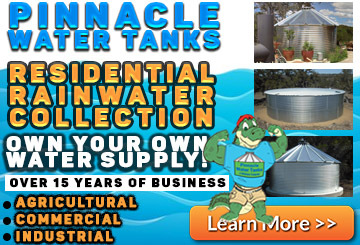 “In Texas,” the River Walk website explains, “water has been a lifeline for many generations for centuries past. The San Antonio River is a source of a South Texas Treasure, The San Antonio Riverwalk. 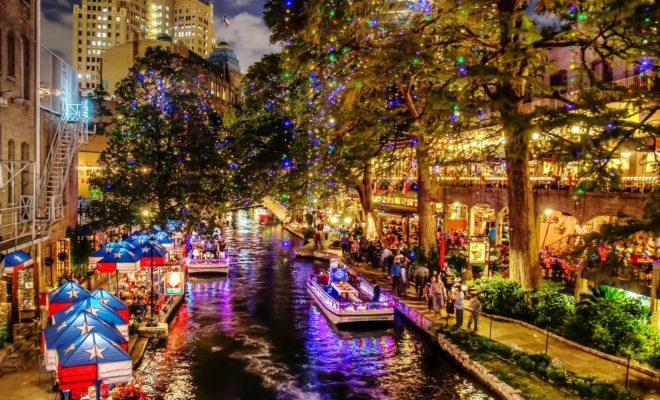 Development of San Antonio and its most popular tourism attraction has come a long way.” Seeing it decked-out for Christmas is something that will practically take your breath away! 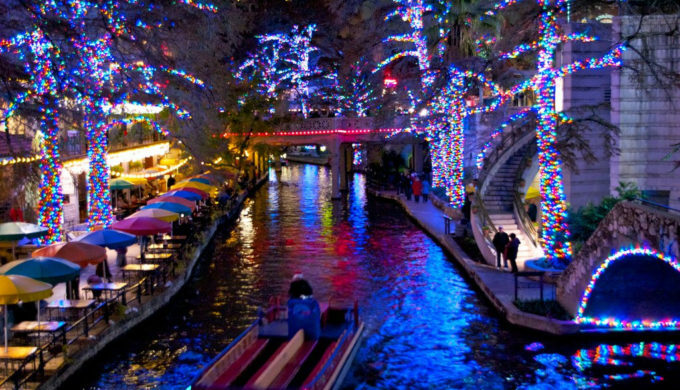 The San Antonio River Walk Christmas lights will be on from dusk until dawn each night through January 6, 2019. This amazingly brilliant holiday light display features more than 100K lights in 2,250 strings, draped over the beautiful, tall cypress trees lining the area. A tour is absolutely free, since the River Walk is a public park, which is open 24-7. The San Antonio River Walk Association, in conjunction with the City of San Antonio, has gifted the lights in this wonderful downtown public display for all to see. In addition, to enhance your viewing pleasure, the San Antonio River Authority added lights in the Pearl District as well, north of Downtown. Visitors can tour on foot or enjoy the lighting via boat tour. Plus, there are a number of great events that coincide with the holiday lights which will make your visit even better! Check out the official San Antonio River Walk website for full details.